If your home is drafty or your curb appeal can use a bit of a boost, homeowners may overlook the powerful upgrade of new entry doors. Entry doors are a small-scale yet captivating exterior upgrade that offers a laundry list of benefits. From endless aesthetic options to making the home feel extra secure, a new entry door offers almost limitless potential on transforming your home. Your home is a private oasis. It should feel like a sanctuary the moment your step foot in the door. If the doorknob is loose and wobbly or the door isn’t fitting correctly within the frame, this poses a security risk to the entire family. According to Alarms.org, there is one burglary every 13 seconds with 66% of those consisting of home break-ins. Replacing an outdated entry door instantly upgrades the security of the home—and that’s without the additional price of costly cameras and special equipment. Choosing a door that’s designed for enhanced security can make all the difference in terms of peace of mind. How do you know that you’re installing a door that’s truly secure? One point is to consider the security ratings. For example, one of the most secure entry doors on the market is rated as Grade 40. This means that the door does not force open after 7 hits of a 100-pound test weight. Doors with a wood edge will crack under the force of one hit of 100 pounds. Another component to include is steel frame construction. This eliminates any wood that would otherwise rot, split, or bow. Furthermore, a reinforcing steel strike plate protects the jamb against friction from the bolt. This makes the door extra durable and secure. Lastly, hardware selection and quality can make or break a door’s security features. One of the most secure options is hardware with a deadbolt, which helps reinforce the door and create a barrier to the outside world. While replacement windows are famous for blocking out unwanted drafts, the truth is that entry doors can keep the home draft-free. As old entry doors age, their weatherstripping breaks down and becomes less effective. Air flow eventually makes its way into the home, which causes energy bills to rise. With the largest drafts, you’ll be able to feel airflow by the door frame with your hand. With new entry doors, the weatherstripping is highly durable and effective at blocking air flow. Your home can potentially feel completely different with a new door and quality weatherstripping. Yet again, replacement windows get the bulk of the credit for home energy savings. However, doors are another contender for keeping utility bills low. This is accomplished in several ways. First, an energy efficient entry door includes weathertight features that not only blocks out drafts, but they also weatherproof the home and block out moisture. Look for entry doors that include composite styles to insulate the door, along with a bottom sweep upgrade to block further out moisture and airflow. Don’t forget that installation plays an important role with energy efficiency. An improper fit in the frame can easily allow energy to escape the home. According to TIME, a 1/8th inch gap under an entry door loses as much energy as a 2.4-inch-diameter hole in the wall. A polyurethane foam core is the last piece of the puzzle for energy efficient front doors. This type of core is versatile and a popular choice for door insulation. It’s sustainable and helps to lower utility costs. It also offers high thermal resistance since it has excellent R-Value, and features nearly unbeatable strength. 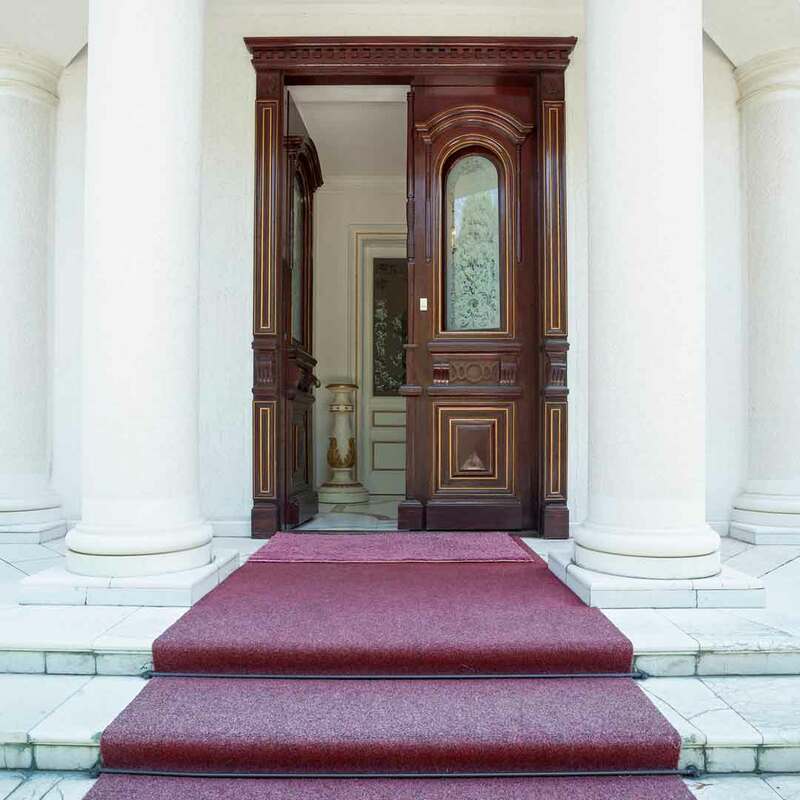 The polyurethane foam core will continuously perform throughout the lifetime of the door. When it comes to adding character and flair to curb appeal, homeowners will benefit time and time again with a new entry door. Today’s entry doors come in an array of paint colors and wood stains to beautify the home. 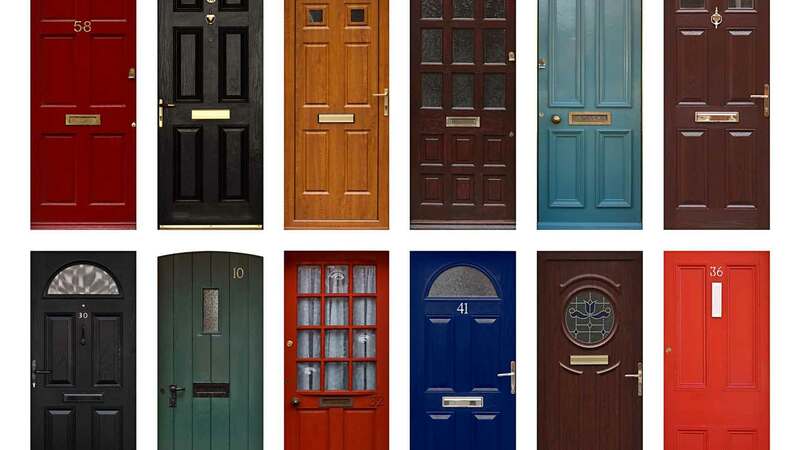 Whether your taste is modern, traditional, or eclectic, you’re sure to find a door to meet your style and home architecture. 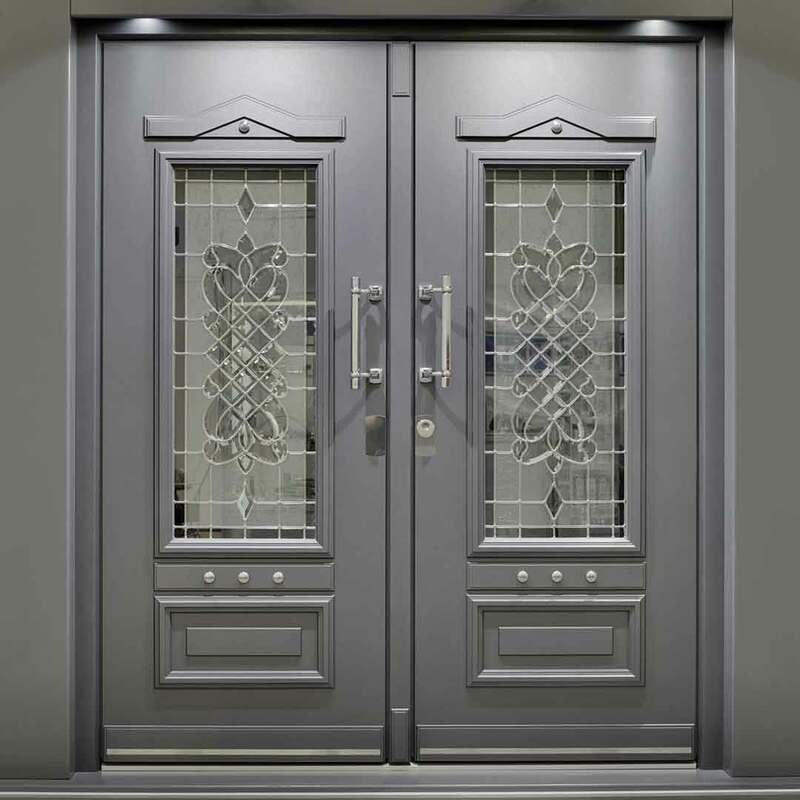 With endless combinations of colors, hardware, and even glass options, an entry door is truly a work of art. Think of it as jewelry for the home that adds a burst of personality and even a touch of sparkle. According to HGTV, some of the top entry door colors include teal, lime green, red, classic white, and slate. Decorative glass in various designs add unique flair to curb appeal. Add a transom window on top of the door to increase natural light in the home—which has proven benefits of boosting serotonin levels. During the winter season, we can all use some extra sun in our lives. Why not get more sunshine with your entry door? When you install a custom entry door with your favorite color and security upgrades, your house will finally feel like home. They provide an unforgettable focal point and a warm welcome to friends and family. A quality fiberglass entry door can last for decades while providing security and unforgettable curb appeal. Keep in mind that the quality of the door makes all the difference in performance, security, and home transformation. You owe it to your home and your family to choose a premium entry door that keeps you sleeping soundly at night. Contact Universal Windows Direct to install your new entry door. Hang a wreath and get ready to love your door season after season.